The Tata Steel festival is coming up to the finishing straightaway, which means that the playing venue and the press center are being filled up with different persons famous in the chess world. Here they're being joined by Boris Sheinin (Radjabov's father) and Vice President of Azerbaijan chess federation Mahir Mammadov (face hidden under the cap). Two coaches - Vladimir Tukmakov and Mikhail Khodarkovsky. Both come from for city of Odessa. Khodarkovsky studying the cover of a new book Risk & Bluff in Chess by Tukmakov. Before the round. Hou Yifan to the festival director: 'I'm playing Jobava, would you give me any advise please?'. She won. David Navara vs Valentina Gunina: a friendly start. Valentina made a solid draw with White, which allowed 16 years old Wei Yi to seize the sole lead in the Challengers tournament. 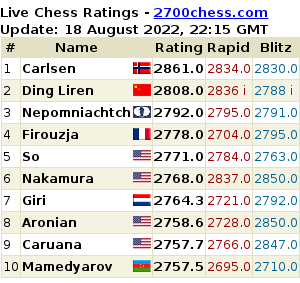 Magnus Carlsen came just before the gong. Ding Liren looking suspisiously at all that. The question is who has styled the Carlsen's hair: Nielsen, or some special stylist? Yesterday, there were many children around, everyone enthusiastic about chess. They've got a tour over the venue, and even had a chess class. Dirk Jan ten Geuzendam being interviewed by Norwegian TV2 channel - one of their countless interviews. By the middle of the round, the key games were barely reachable. Aronian: '+1.50? I can't believe my eyes... But okay, this is Stockfish, you can subtract 1'. 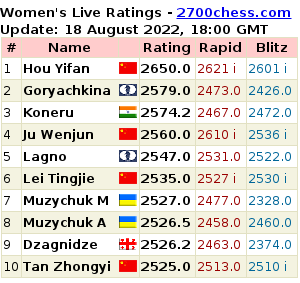 When the Wijk aan Zee is over, Hou Yifan will go straight away to the famous Gibraltar open. She was asked, 'Where will you find energy?' and replied: 'Well, I'm playing so-so here, and that will be a new tournament, new challenge, new motivation for me'. Apparently, 'so-so' means performing roughly according to her FIDE rating. Yesterday the women's world champion has defeated Jobava. In the Dutch derby, Giri proved to be stronger than van Wely. The analysis was friendly. But Sopiko Guramishvili was probably even happier.